The SU-8000X Valuable GPS Asset Tracker is an ultra-compact, rechargeable GPS tracking device. The light, temperature and humidity sensors set it apart from other battery powered trackers. 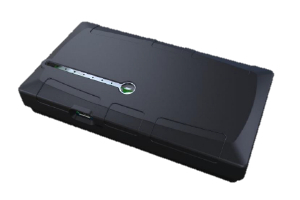 It has been designed to track high value parcels, cargo, cash in transit, personnel, and other assets where super-long battery life is required without sacrificing the frequency of updates and performance. Utilising the latest technology, the SU-8000X Valuable GPS Asset Tracker can operate in ultra-low power modes. With an incredible battery life of up to 18 months on a charge, the SU-8000X can be attached to assets and tracked without needing to charge the battery regularly. The SU-8000X has built-in antennas for GPS reception and cellular communication, a 3D accelerometer, a high-performance GPS that can track both GPS and GLONASS satellites simultaneously and flash memory for storing non-volatile information. The light sensor is designed to work as a tamper detector for cargo applications. If a parcel or container is opened, the SU-8000X can detect the light change, wake up and report the tamper. The temperature and humidity sensor allows spoilable cargo to be tracked. The SU-8000X uses a 2500mAh 3.7V Lithium Polymer battery pack. It can be recharged with the included USB micro cable. The SU-8000 X is different, much different . Measuring only 96mm x 50mm x 18mm , the compact design is just the start. The SU-8000X has four intelligent sensors enabling the delivery of critical information that is required when tracking valuable cargo or where cargo integrity. The light sensor will trigger in the event the cargo is exposed to light. This feature is ideal for tracking cargo that should not be opened for example evidence. In addition to the sensors, the SU-8000 X is powered by a rechargeable 2500 mAh battery giving 3 months battery life per charge. The SU-8000X can be set to use Adaptive-Tracking technology where the accelerometer and GPS data are used to intelligently work out if it is moving and to send frequent updates, and to scale the update rate down to once per day if the asset is stationary – to preserve battery life. SU-8000x housing may need modifications for responsive measurements. The SU-8000x uses both the GPS and GLONASS positioning systems simultaneously. This allows the SU-8000x to operate where normal units will fail to receive GPS signal – like in a container stack! The 3-axis accelerometer allows the SU-8000x to ‘sleep’ in an ultra-low power state yet still wakeup when movement occurs. The SU-8000x has enough flash to store over 25,000 data records, and will record information even when out of cellular coverage.